banjira 22.5 Inch Sitar Miniature Toy Quality Décor Item. 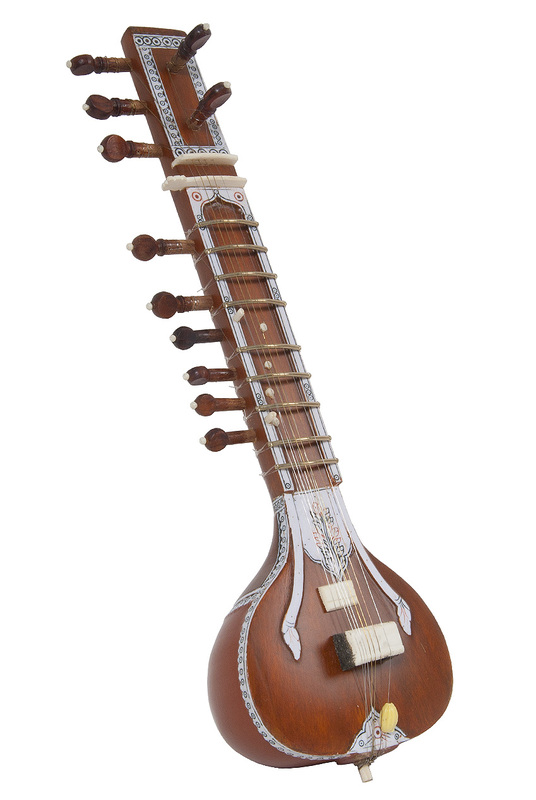 banjira Miniature Sitar STRS-M. This is our miniature version of the Standard Dark Sitar. Standard decorations, no rear toomba, 5 main, 2 chikari and 4 sympathetic strings. Approximately: 22 1/2"L x 6" W x 5" H. Makes a perfect decor item. Decorations and colors will vary. These are all individually made and will be unique.